Everyone hates DRM except the movie studios who fear the scourge of piracy so much that they’re willing to treat their paying customers like criminals by applying DRM that real criminals find a way to get around anyhow. GOG.com, a digital store that sells DRM-free PC games, is adding movies to its catalogue, but when GOG approached some Hollywood studios to offer classic movies and TV shows without DRM, naturally the studios balked. Guillaume Rambourg, GOG’s VP for North America, explains in a statement: “In our first round of talks, the response was largely, ’We do not want to be the first ones. We will gladly follow, but until somebody else does it first, we do not want to take the risk.” Rambourg even said that the studios “were quick to add that the lawyers would not allow them” to sell content without DRM. As if the studios are working for the lawyers and not the other way around. So GOG is instead launching its DRM-free movie store with indie documentaries aimed at its core audience of gamers and geeks. 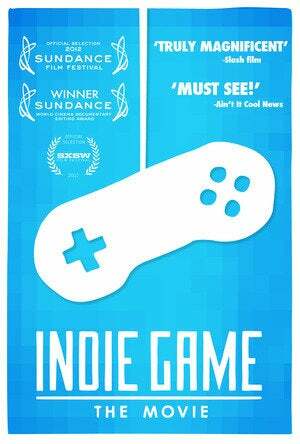 The 20 films available at launch will include Indie Game: The Movie, Gamer Age, The King of Arcades, and Pixel Poetry. Starting Wednesday, you’ll be able to buy them for $6 each, with new ones added to the selection each week. Once you buy a movie from GOG, you can download it or stream it on the site whenever you want. While your movie won’t have DRM, of course you still have to abide by the laws—which we know you would anyway, which is why DRM is just kind of silly these days. Without DRM, it’s easier to put the movie you paid for on whatever devices you feel like watching it on without jumping through a bunch of annoying hoops. And we’ve seen already seen this work—when Louis C.K. started releasing his own comedy films on his own website for $5 a pop, surprise, they didn’t have DRM. People probably would have bought them either way (I would have), but the lack of DRM didn’t hurt sales—no big deal, just $1 million in 12 days. 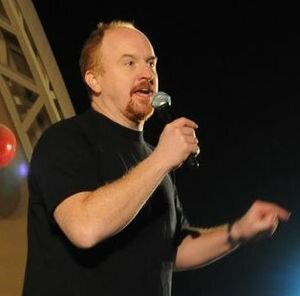 He’s released more $5 videos since then, and their success inspired fellow comedians Aziz Ansari and Jim Gaffigan to experiment with selling online, directly to fans as well. Whether DRM is on those videos or not, fans would still be able to find illegal, pirated copies if they poked around online—but all those sales are to fans who didn’t mind paying. It’s not rare these days to find indie documentaries selling DRM-free digital movies directly to consumers from their own sites, but having a marketplace like GOG will increase visibility for those filmmakers, while also giving fans a place to shop that doesn’t treat them like potential pirates. Whether any major Hollywood studios follow suit is another story, but hopefully if GOG builds it…they will come.